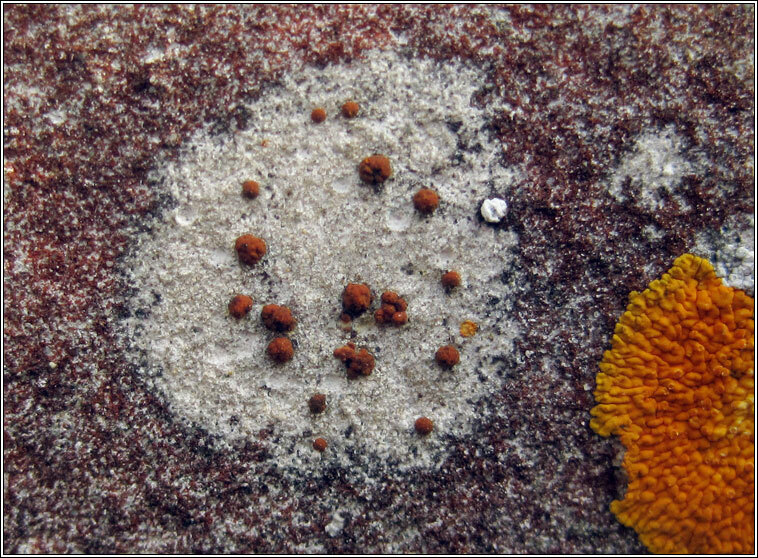 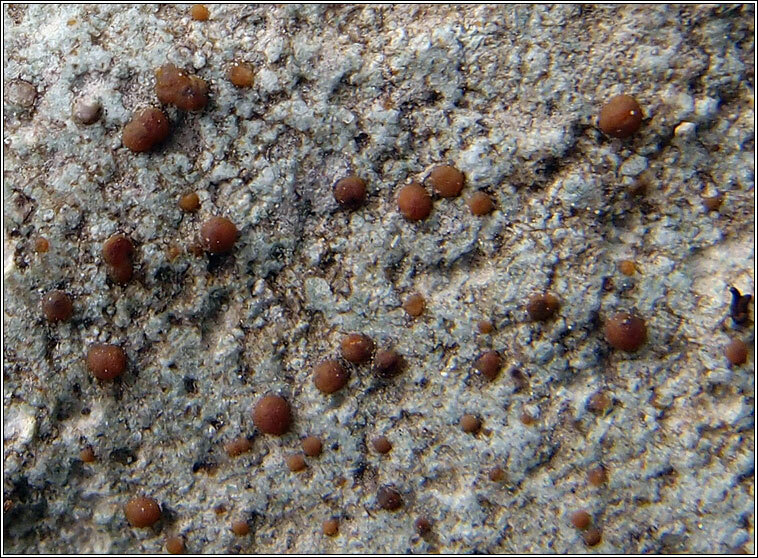 The smooth, cracked, white or pale-grey thallus is +/- immersed with large (to 1.5mm), convex, deep-orange apothecia initially in shallow pits. 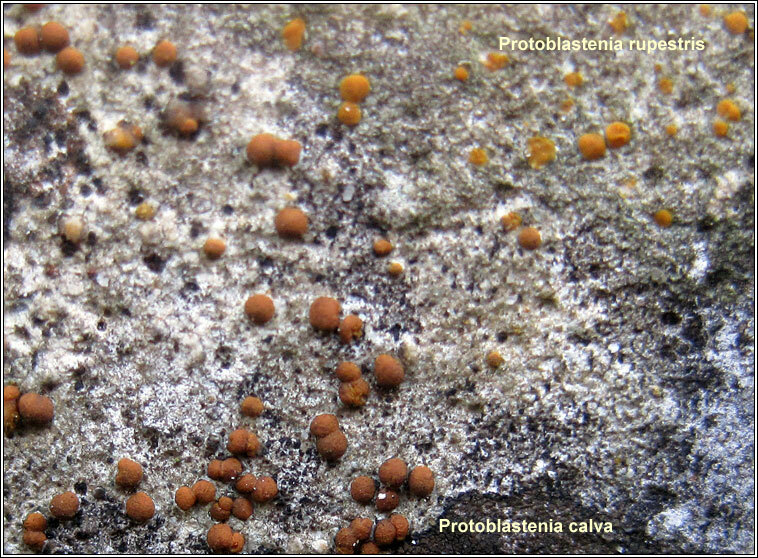 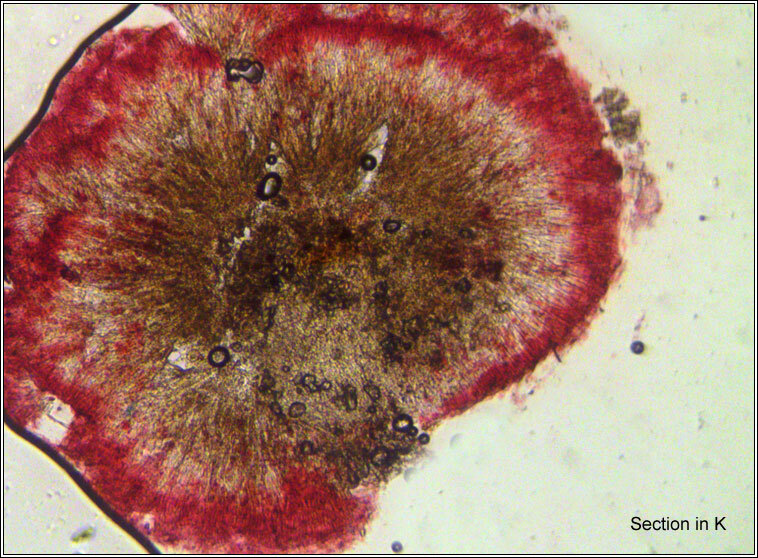 Micrograph of apothecia showing K+ crimson reaction. 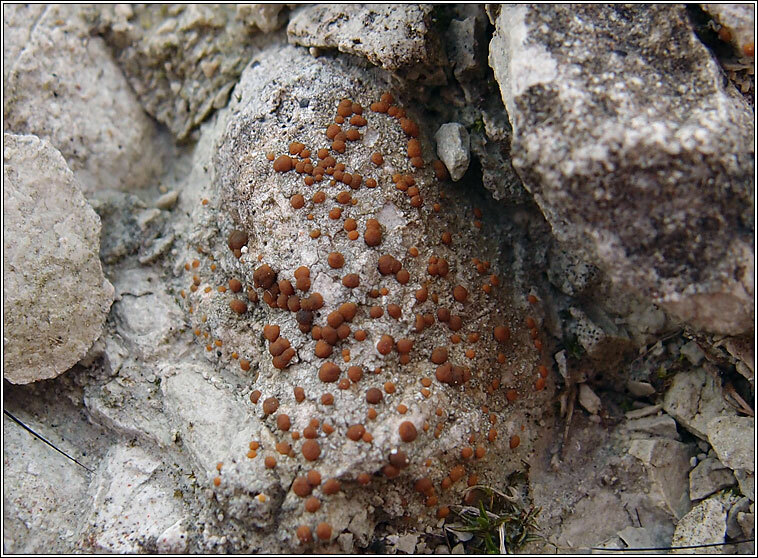 Similar: P. rupestris. 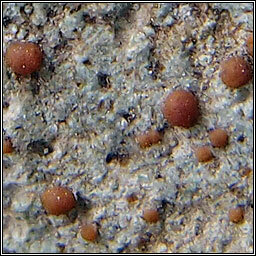 Common on mortar and calcareous rocks, comparison below.